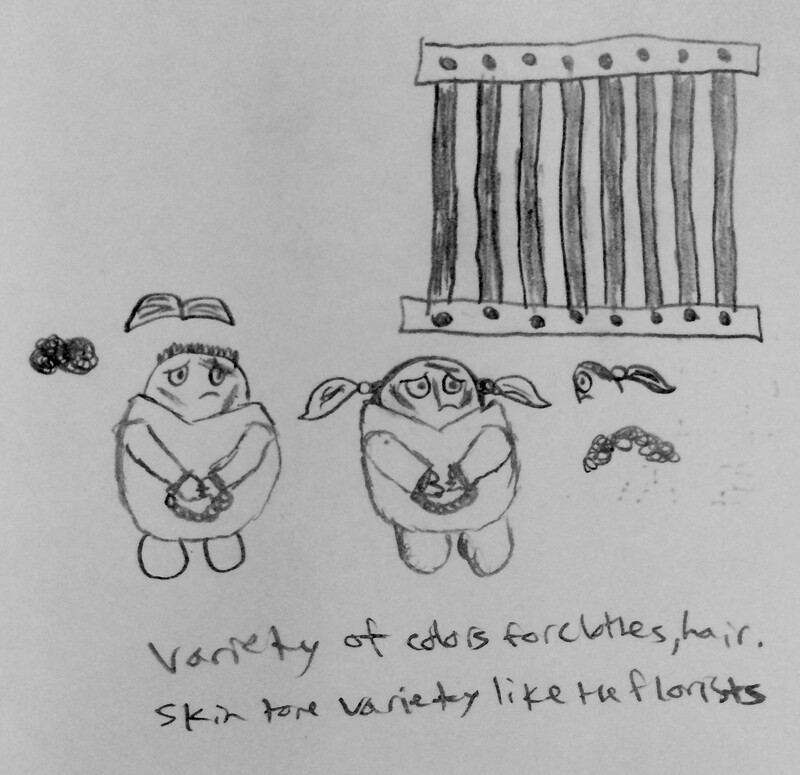 Random Game Idea: A collect-a-thon game where you provide for the most peaceful frozen florists. 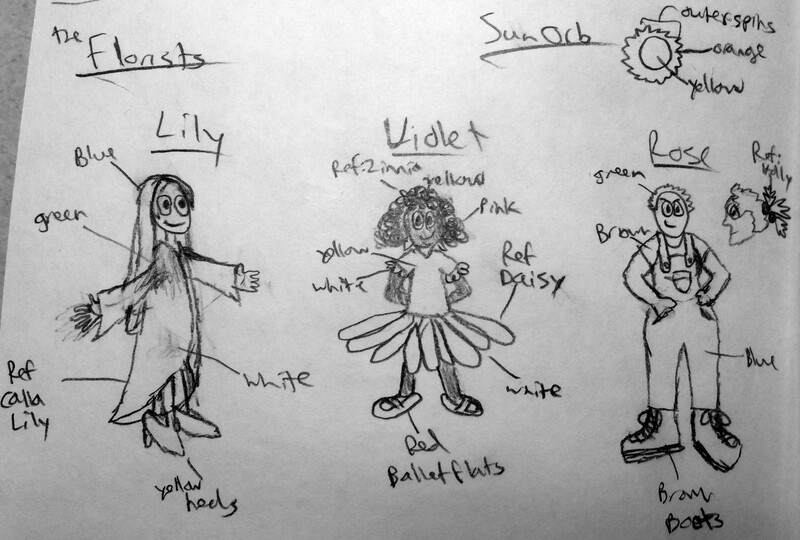 Idea: This is going to be a 3D PlayStation-era-styled collect-a-thon game where you play as Petalina, the flower petal girl, who must jump, float, spin, and dash through gloomy, metal-plated Machine Land to collect the mystical Sun Orbs to melt the magic Florists out of their icy prisons and bring light, color, and peace to the people of Machine Land! 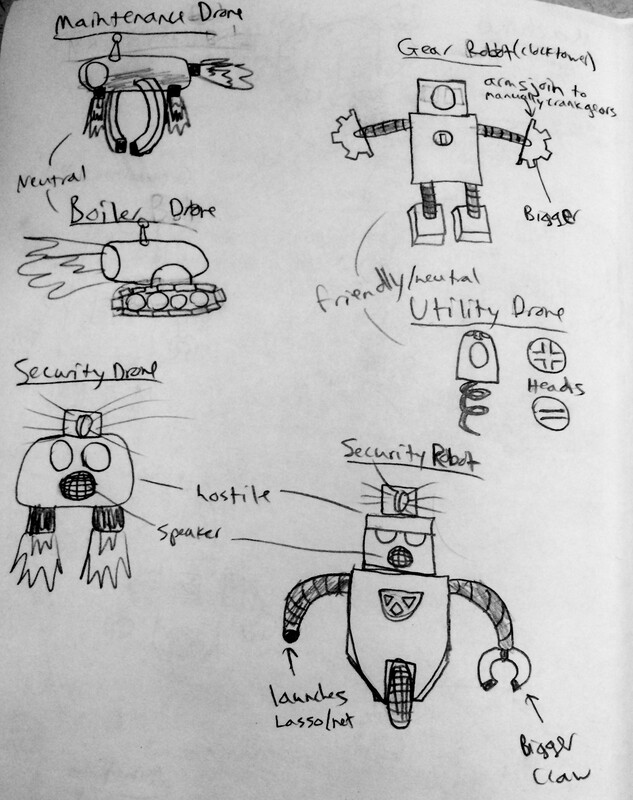 Story: The people of Machine Land lived in peace under their flowery rulers, the Florists. Everything was bright and beautiful, and there were flowers and beautiful trees everywhere. But one day, Machino, a machine man who wants nothing but to dominate the world with machines, attacked the peaceful civilization. With his machines, he captured the Florists and trapped them in ice, and he brought smoke and darkness to the world, covering nature and color with metal and machines. Every day, the people prayed for salvation until one day, Petalina arrived. 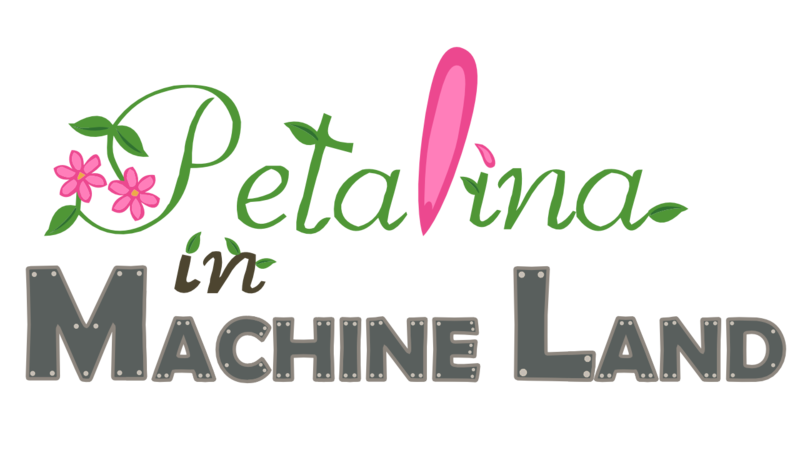 Petalina must use her skills to recover the hidden Sun Orbs, melt the florists, and get Machino out! Additional Ideas: Because this is a collect-a-thon, you'll also have to collect flower petals to restore your health, seeds to plant a garden that rewards you with new skills, and some other area-specific items like bolts and gears to solve puzzles and get past obstacles. I'm using Unity3D for my game engine, Blender for modeling and texture painting, and GIMP for fine-tuning the textures I paint. All the texture painting in Blender is being done using the Zero Brush plugin (part of the Sensei Format for Blender, if you're interested). 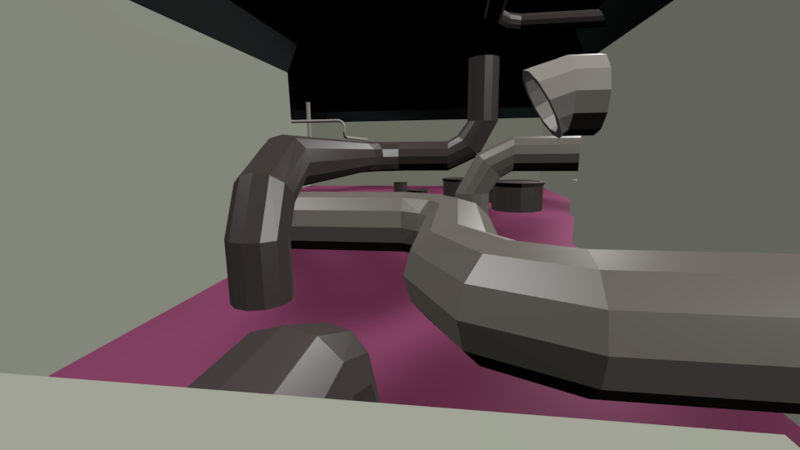 Machine Land consists of a hub with doors to each of the levels you play in. Each of the levels will have collectible items strewn throughout, and the hub itself will also have its own hidden areas and collectibles as well. As you collect the Sun Orbs and free the Florists, I want the world to change slightly: more light, more nature (plants and dirt and stuff), and more color in the general area of the Florist you free. I'll have to see what I can do, but I imagine I'll have to make multiple models of the world to show that very well. I'm going to start by making the graphics because that will definitely take me the longest time to complete. I'll start by modeling Petalina, painting and animating her as I go. 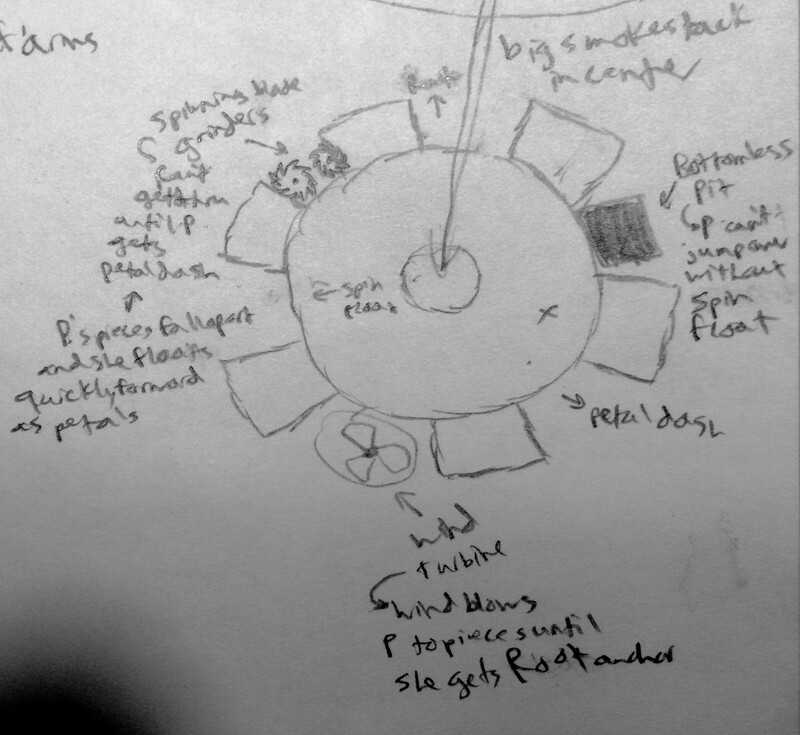 Once I get her basic animations finished, I'll start building the world, making the central hub first and then building the areas in whatever order I feel like at the time. 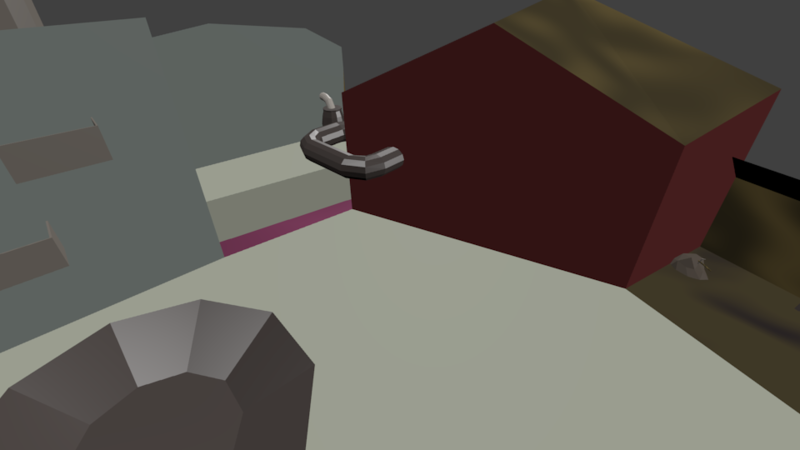 I'll model the non-static pieces of the areas as I finish them. Once I have a few areas done, I'll have to texture and paint those, too. 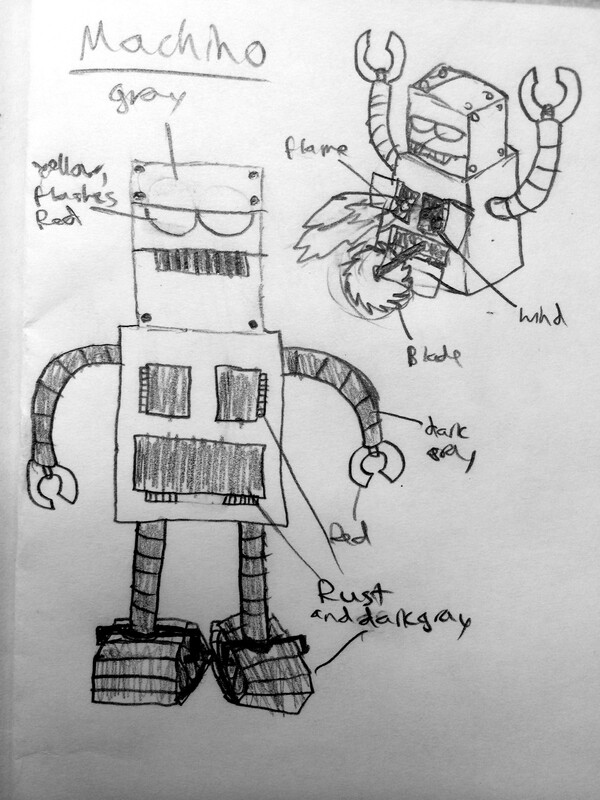 I'll move on to the robots next, and then the Florists, working on animation as I go. It'll definitely take me a long time, but the style I have in my head should be pretty quick to implement. 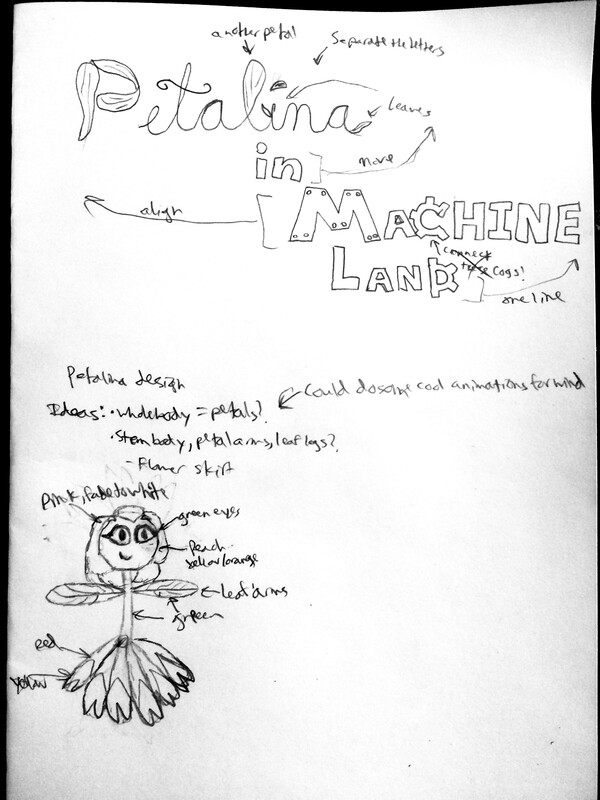 Once I've finished with graphics, I'll piece the world together in Unity and work on coding all of Petalina's actions, focusing on her powerups at the same time that I am building her basic movements so I don't have to hack up my code later just to include it. I'm planning on just modifying Unity's example 3rd person camera code. I'm hoping to eventually have the camera be as manageable as possible, unlike many PSX 3D 3rd-person platformers. I'd like the camera to behave like a physicial object, not passing through walls and to be switchable from a follow mode to a free mode that the player can swivel around and move in relation to where the camera is facing. It'll be hard to prevent passing through walls, but I can at least manage the other ones since I've done them both before. I'm going to try to take a Mario approach to jumping, where your jump height depends on how long you hold the jump button. I've never been good at that, but dag nabbit, I've got to learn sometime! The player will be able to play with either keyboard controls, keyboard + mouse, or a controller, and I'll try to include as many options in the options menu as time allows, but that's not going to be a priority for the jam time period. Because I'm using Unity, the player will be able to configure custom controls in the launcher if they want as well. 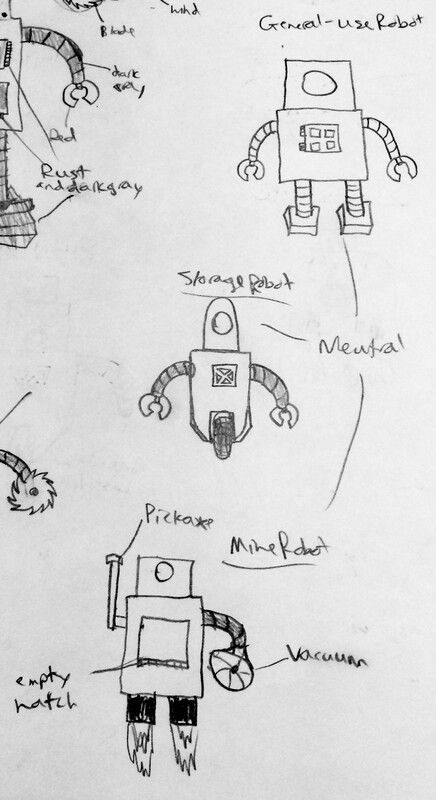 I'm going to try my hand at making an in-game key customizer as well, but we'll have to see how that goes. Please excuse my poor hand-drawing skills. In an attempt to give the game a more unified feel, I'm using the (limited?) color pallette below. I retrieved it from here in a Google image search that claims it pulled it from here, but I don't see it on that page. I've also finished a jump, fall, and spin float animation, but they're kind of just short and confusing on their own, so I won't post them here. 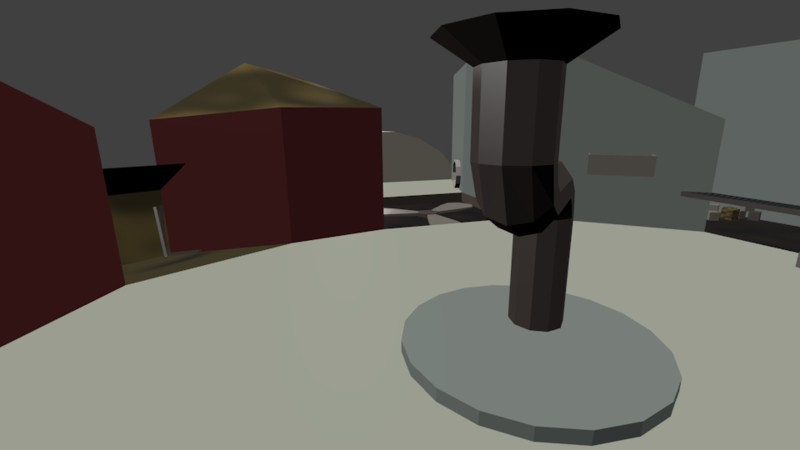 Here are some early world model screenshots taken from Blender. 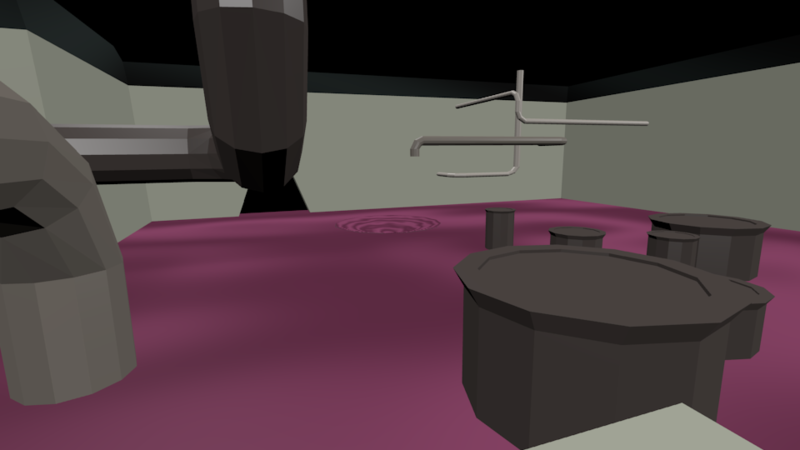 This is all using Blender's awful generated textures, so it won't end up really looking much like this in the end. The chemical level definitely needs to be a lot bigger at the very least! Here are some gifs from within Unity. The first few are from when I was just starting and didn't have the camera sorted out so it's just clamped to Petalina's back. Note that all of these are just early gifs to demonstrate movement and some basic things. It's not representative of the final look of the game. The controls and everything are listed on the page, so go check it out if you like playing early tech demos! Root Anchor: Petalina sends out roots to hold on tight to prevent being blown away by strong winds, but can't move while rooted. Passively, it also allows Petalina to float on vertical wind turbines instead of being blown to pieces. Spin Float: Petalina's skirt flaps to give a second jump midair and then spins, lowering her slowly to the ground for as long as the player holds the jump button. Petal Dash: P falls to pieces and controls the wind to move faster and fit through tight spaces that she couldn't fit through in one piece. Vine Climb: Petalina sends vines up walls so she can climb to places she can't reach by jumping. Pod Pop: Petalina is wrapped in a pod, which expands with pressure and pops, launching Petalina forward with much faster than a normal dash. Pinecone Armor: Creates an enveloping shield of scales like a pinecone to protect Petalina for a short time. Coconut Drop: Petalina slams hard onto the ground below her to either destroy weak grates or turn vertical gears. Snapdragon Snap: Petalina makes a loud snap, stunning nearby enemies. Dandelion Drift: Jump higher and float with both your main jump and your second jump for longer and farther jumps. The Storage Facility, where you have to jump around boxes and travel on conveyor belts. You get the Spin Float there. The Boiler Room, where you have to avoid hot steam and fire with precise timing. You get Root Anchor there. The Mineshaft, where you have to jump on moving platforms and navigate scaffolding while avoiding falling rocks. You get Petal Dash there. The Chemical Plant, guarded by a giant pit of chemicals with lots of pipes and dangerous chemicals to jump over. You use Spin Float there. The Ventilation Center, guarded by a giant vertical fan, where you have to around lots of big fans that will push you. You use Root Anchor there. 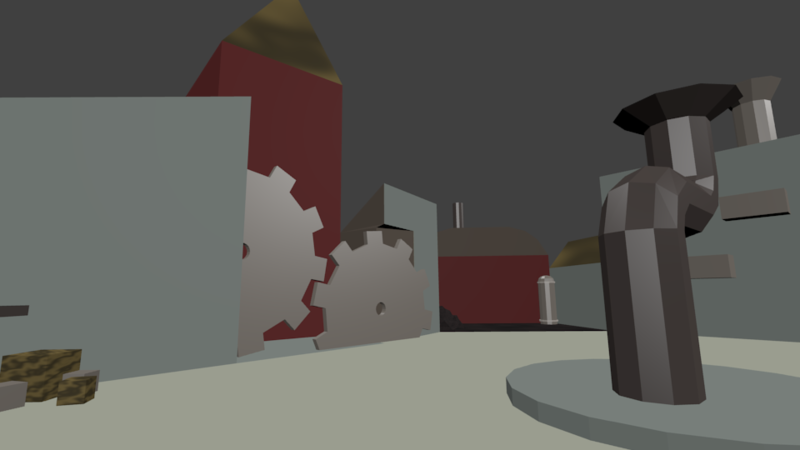 The Clocktower, guarded by giant spinning gears with just a small opening to get through, where you have to jump around and through gears and spinning platforms. You use Petal Dash there. Once you free all the Florists, there's one final level where you must use all of the skills you've learned to reach and defeat Machino. This is the base level of what I intend to put in the game, but if I think of more/want to make the game longer after I've finished all of these things, I might add more levels. I guess we'll just have to wait and see! there really need to be more 3D platformers, honestly. not enough good ones! you should probably have or think about maybe having a challenge mode! time attacks, find the things, etc. those go together with games like this like oil and sandwiches. i like how silly petalina looks. idk, i hope that helps. i look forward to seeing where you take this! That's what I thought, too! There was an explosion of really bad 3D platformers around the GameCube era, but I feel like there haven't been many since. That's a pretty good idea! I'll think about adding something like that in there! At the very least, I'll put a playtime counter in there on the file select screen so you can try to beat your own time, even if unoffically. Yeah, the little demo thing is mostly just to demonstrate some of the basic movement and camera stuff. There's definitely a lot of fine-tuning to do (especially with animation). The delay with moving was kind of intentional because I'm intending controller compatibility. Since keys don't have a range of axis motion like a control stick, I wanted to try to artificially create that by having the keys ramp up to speed like a stick would. Admittedly it's not the best, but like I said before, lots of fine-tuning to be done. And by the end of development, I'm planning to make it easy for the player to switch control schemes from the pause menu. There'll be the WASD like in the tech preview, arrows, WASD and Mouse, and Controller. If you have any suggestions for a better way to manage the camera on the keyboard than either arrow keys or WASD, seriously let me know, because I couldn't think of any other ways. Thanks! It does help a lot! I really like hearing people's ideas and getting feedback. I'm pretty new to the world of game development and I always struggle with coming up with new ideas. This is looking really cute already. There's really been a dearth of collectathon 3d platformers lately. I was wondering if you'd planned for there to be any backtracking or level inter-connectivity, like in Banjo-Tooie? Maybe you can have some little mini games in certain areas for collecting sun orbs? Just to add some diversity to the gameplay. I'll keep checking back to see your progress. Good luck! This is looking really cute already. I was wondering if you'd planned for there to be any backtracking or level inter-connectivity, like in Banjo-Tooie? Oo, I hadn't thought of inter-connected levels! All I had in mind was your basic backtracking for collecting the things you missed the first time, but now that I think about it, I would love to have some kind of inter-connectivity! I don't know how, but it could probably be done! Mini games is a great idea! I'll have to think about what kind of mini games to add, but what kind do you like most? I immediately thought of a slide minigame, but I don't want to completely rip off Super Mario 64… Haha. I've been getting as much of the boring GUI stuff out of the way as I can. I've got the positioning and all the buttons working right, all that is left to be done (for the in-game pause menu, at least) is to make the GUI skin more appropriate than Unity's default skin. But that'll take some creative time, so I'll do that later. For now, I have a pause menu with options, multiple control schemes successfully implemented (customizable controls coming soon), and lots of other menu-related stuff! I'm not going to upload another dev preview, though, because there's not enough change to the actual game to justify it.